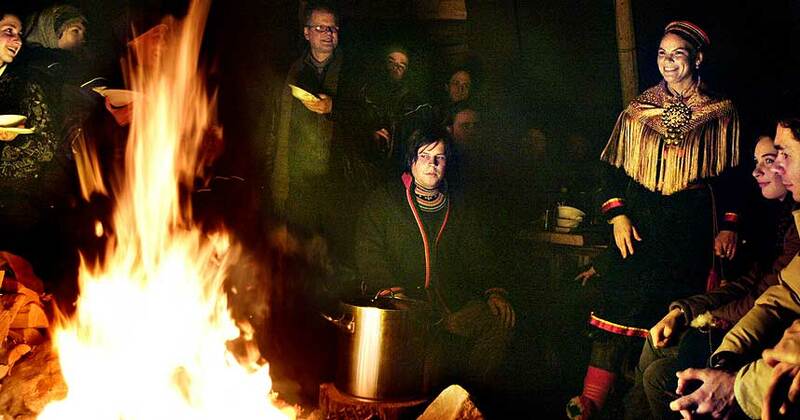 Joik (hereafter written and literally pronounced 'yoik') is a traditional Saami (or Lapplandic) chant which we believe is one of the oldest forms of music in Europe. It was once an important part of our former religious practices, and this is perhaps the reason why it was branded taboo by the Christians. Even today yoik is prohibited in certain areas. Here I would like to make some brief comments on yoik, and at the same time draw a comparison between yoik and a contrasting topic, namely the theory of knowledge in the social sciences. I will use the western European notion of singing songs as a metaphor for science. There are Yoiks for persons, animals and land. In Saami tradition it was very important for a person to have a yoik, just as important as being given a name. Yoiking a landscape or an animal probably had a similar ritual significance. Even for the trained ear, it is difficult to hear the difference between an animal's yoik and a person's yoik. the reason is simply that people, animals and land are not as distinct in the Saami mind as in the western European mind. Ethics that apply to fellow humans also apply to a great extent to animals and land, or fellow animals and fellow land, so to speak. Thus, just as one cannot own a fellow man, one cannot own a «fellow» animal or «fellow» land. Musicians would have difficulty in understanding a yoik because it differs from one time to the next. A musician would expect a yoiker to begin with the same tone every time he yoiks, so the musician would believe it possible to compose a piece of music to accompany a yoik. However, a yoiker would have difficulty changing in harmony with the musician's accompaniment, since the mood of the yoiker may have changed since the last time he chanted, and his mood will manifest itself in the yoik. In this regard a yoik has no fixed nature, but must be seen as a kind of process that defies all description by any established scientific patterns. να μην ξεχναμε και πως η μουσικη θεμελιωθηκε απο τον Πυθαγορα,ως συναρτηση μαθηματικων σχεσεων:δηλαδη απο το μηκος των χορδων του μουσικου οργανου εξαρταται ο ηχος που παραγεται,και πως η αρμονια στηριζεται σε μαθηματικες αναλογιες!! !Αξιζει να μνημονευθει και ο αγνωστος στο ευρυ κοινο Αριστοξενος(375 - ; πΧ)που υπηρξε απαραιτητη πηγη των μεταγενεστερων για την κατανοηση της αρχαιοελληνικης μουσικης. Very interesting information, I love ancient cultures, and specially ancient civilizations, I read about this a few years ago but never really payed much attention.